Chris Ogden, MD at RubiBlue. In the 1980s, software vendors increasingly created closed platforms to support high-cost licences. The open source movement opposed this trend, championing the idea of source code being shared freely as an open resource. Some 20 years later, a similar movement was born, challenging traditional business practices and promoting the solicitation of innovation from outside company borders - a way of working dubbed open innovation. People steeped in traditional business practices, especially in industries not familiar with the open source movement, are often reluctant to consider open innovation as a strategy, says Brian Pinnock, GM for Innovation at Internet Solutions. "The essence of both movements involves questioning the boundaries of traditional business conventions and emphasises decentralisation, sharing and collaboration." For many organisations, opting to do something `radical' like breaching traditional company borders requires some sort of payoff, he continues. Open source and open innovation efforts aim to achieve great results by tapping into a larger, more diverse pool of perspectives in order to develop a better or new product. "And that is the payoff," he says. For Saurabh Kumar, MD at In2IT Technologies SA, open source and open innovation approaches call into question long understood parameters of where businesses began and ended. This approach to innovation lowers the barriers of language and geography, allowing a global flow of ideas and information, he goes on to say. These concepts tie into the notion that an `open world' is a better world, says Riedwaan Bassadien, open source strategy lead at Microsoft. Bassadien notes how this may seem irrational to those who are intent on safeguarding their intellectual property. But ideas alone are not really interesting; real innovation is a culmination of many ideas coming together to support the big breakthrough. According to Chris Ogden, MD of RubiBlue, eliminating company borders is hugely beneficial to any business. It opens new territory, eliminates cramp and limited operating territory while also opening up internal collaboration opportunities. This means that new people in different spaces/areas can unlock new ideas/concepts/thought processes, he continues. "The actual displacement is irrelevant; it's the value added that is hugely beneficial." When we talk about collective intelligence, we're referring to a factual theory that many minds can unpack deeper meaning, which results in a more collaborative output with a democratic approach to choosing the best solution, Ogden says. This strategy encourages better people utilisation by giving individuals the opportunity to be part of a collective idea/product - a meaning, if you will. The solutions reached tend to be more appropriate because all aspects are taken into account. "Innovation is shifting from being the fruit of a leader or single genius, to the work of collective genius," notes Bassadien. He cites the process of creating a Pixar movie as an example of this, noting that it takes four to five years to complete such a project and involves the collaboration of about 250 employees. "To unleash an organisation's collective genius is to create an environment in which talented and diverse teams can collaborate, debate, experiment and fail in order to solve problems." To unleash an organisation's collective genius is to create an environment in which talented and diverse teams can collaborate, debate, experiment and fail in order to solve problems. Gysbert Kappers, CEO of Wyzetalk, agrees. "By using a collaborative approach to innovation (open innovation) and technology (open source), a company can appeal to a much larger stakeholder base than it could reach on its own. It can iterate and innovate faster and find new opportunities." This approach signals a change in mindset around competitive advantage, and as a result, more and more organisations are embracing open-mindedness, which has already radically changed business. "Ideation should and can be cultivated as a habit - by anyone - and it is better when it draws on more ideas from a wide range of stakeholders and an interested community." Offering a growing array of new tools and approaches to our most intractable problems, open source principles and open innovation are introducing adaptive capacity into large-scale systems in areas spanning everything from health and education to agriculture and urban design, states Kumar. He cautions that this is no panacea, however. Deepening our commitments to one another, and co-creating healthy futures for all, is generational in scale and buffeted by countervailing forces. For these innovations to have enduring and transformative impact, they need to be understood as preliminary steps in a larger shift towards an ongoing culture or economy of engagement. "The open source community has really proven itself as an effective way to inspire people to share and collaborate for the common good," says Pinnock. This is partly because of very well-defined rules that have emerged around attribution, copyright and open source licensing, which mean that development is rapid and task-focused. In the case of open innovation, projects are sometimes more driven by commercial interests, he cautions. Because open innovation initiatives are largely pushed by large corporates, they are often very transactional and sometimes contractual. The essence of both movements involves questioning the boundaries of traditional business conventions and emphasises decentralisation, sharing and collaboration. According to Bassadien, social norms are incredibly powerful and both open source and open innovation leverage social norms to tap into our need to help and contribute to something great. "Social norms are so powerful that research suggests people will work just as hard for no money as they would for a good salary if the result is accomplishing a social good." However, social norms are vulnerable and once relationships shift from social norms to market norms, moving them back is very hard, he adds. It's no longer viable to think of innovation as something that happens in secret behind closed doors. "Could opening up access to ideas and information reduce the amount of friction in developing a big idea into something that could actually increase the pace of human innovation?" asks Bassadien. "A growing number of people believe that it can." Open source and open innovation are similar in the fact that they promote collaboration and the sharing of ideas, while making the information/product freely available to anyone. While they may have a common ideology - promoting greater levels of freedom around sharing and collaboration - the fundamentals of the two are quite different, states Microsoft's Riedwaan Bassadien. Open innovation is a way to advance technology. Open source typically refers to software engineering and is both a software development model and a way to license software. To put it simply, one seeks to innovate with a product, the other is a concept to create new things and innovate within a business. 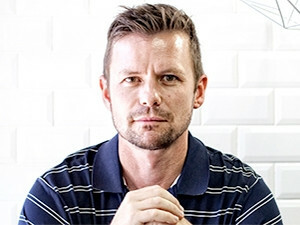 For Muggie van Staden, of Obsidian Systems, the relationship between open source and open innovation is a symbiotic one. The pair makes it possible for everyone to improve and find better ways of creating something relevant for the business, allowing communities to build and improve technologies, he says. The opportunities are growing but the challenge will be changing people's mind sets, building sustainable strategies for clients and integrating these technologies within traditional IT systems. Open source and open innovation have similar ideals - just different focus areas, agrees Matthew Lee, regional manager for Africa at SUSE. Both are developed in such a way to drive collaboration and concepts in real-time for the benefit of the business. "Some organisations may choose to use such platforms with stakeholders, but others may want to strictly use it internally among their workforce." These concepts benefit the business environment and fulfil different obligations, while enabling a more open approach to doing business, he continues. "Open source is a more efficient model for fostering innovation in a community that shares a common problem or sees a common opportunity. Open innovation is a more efficient model for fostering innovation for a company that is focused on its own problems or opportunities and wants to maximise on the brainpower of their workforce." * The first commercial version to get a code name was Android 1.5 and it was called Cupcake. * Pre-commercial versions were robot-themed, including names like Astro Boy and R2-D2. * Early iterations of Android were all named after tasty treats. * While Android's growth rate was at its lowest in the second quarter of last year, the operating system still dominated the market with a share of 82.2%. * Google Play, Android's software marketplace, has more apps than its competitors, with roughly 1.5 million on offer. * Even the Android logo is open source, which is why the mascot has many different appearances.